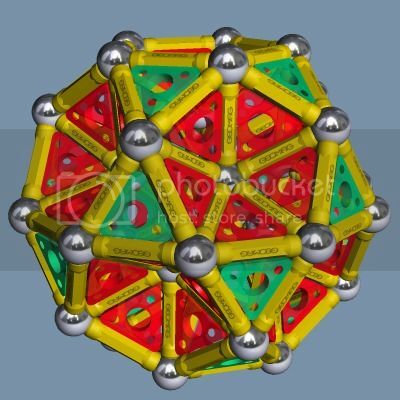 I see there's been some discussion here in the past of my Stella software for exploring polyhedra, but not since version 5 was released. With version 5 came Geomag-style rendering, so I thought I'd draw everyone's attention to it (albeit a bit over a year since its release!). Small Stella, Great Stella and Stella4D can now render models as if constructed using Geomag. It will check to see that the model is possible to make using Geomag, and give information about how many balls, rods and panels of different types are required. It will automatically split hexagons into three rhombi, and split octagons and decagons into raised combinations of squares and triangles (and a pentagon in the case of the decagon). Finally you can apply images to faces and print out the parts required to fit into Geomag's Deko pieces. 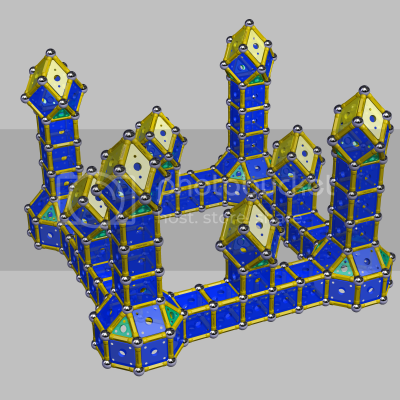 Great Stella and Stella4D have hundreds of polyhedra built in, and other features in allow you to glue parts together (augmentation) or extract them from each other to build new shapes. 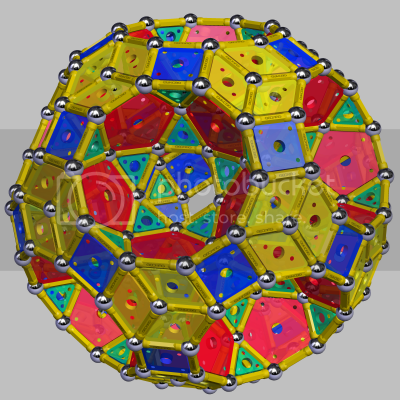 All Stellas also provide an additional library of models intended for Geomag use. Excellent! I'll have to check it out. One suggestion: White bars are pretty common, orange and black, not so much. You may want to add those color options to the list.